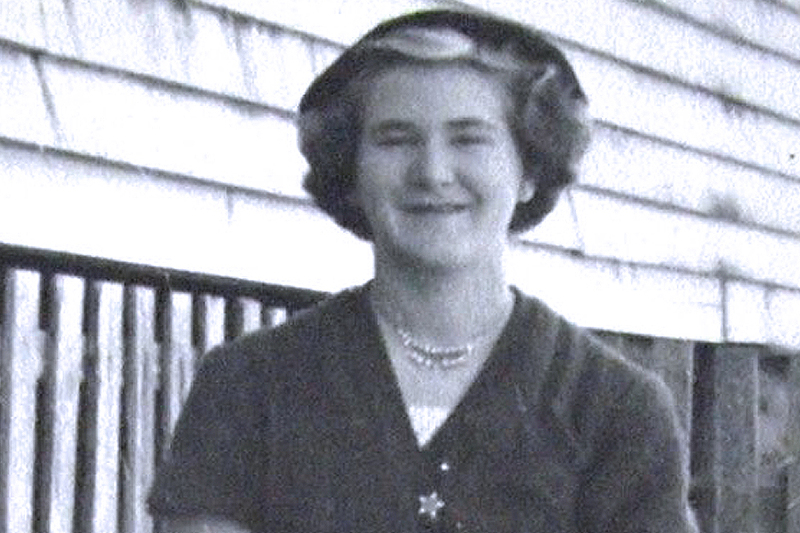 HAPPY 80TH BIRTHDAY TO JOAN! Celtic Thunder was contacted this year by Angie, her mom is Joan Cook who is turning 80 this month December 2018 …(hard to believe when you look at these photos taken at an earlier celebration in the Summer). 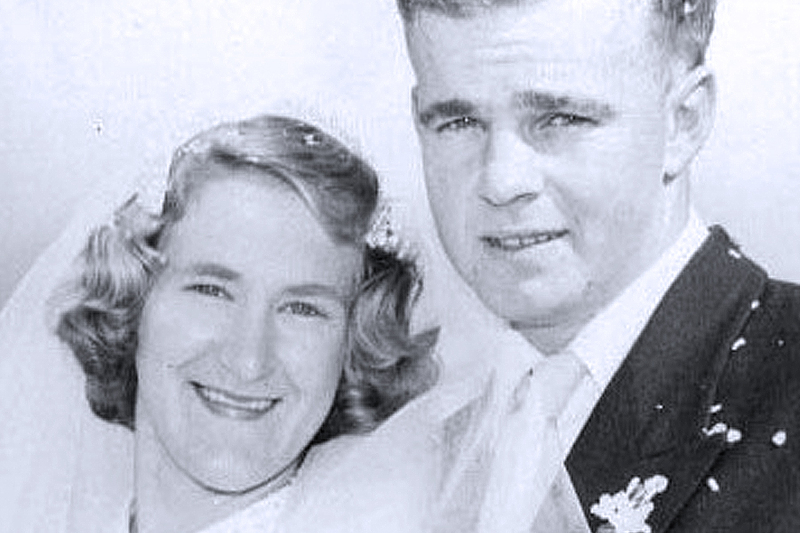 Joan lives in Australia and her and her husband Ken love Celtic Thunder traveling 2000km to go see them. 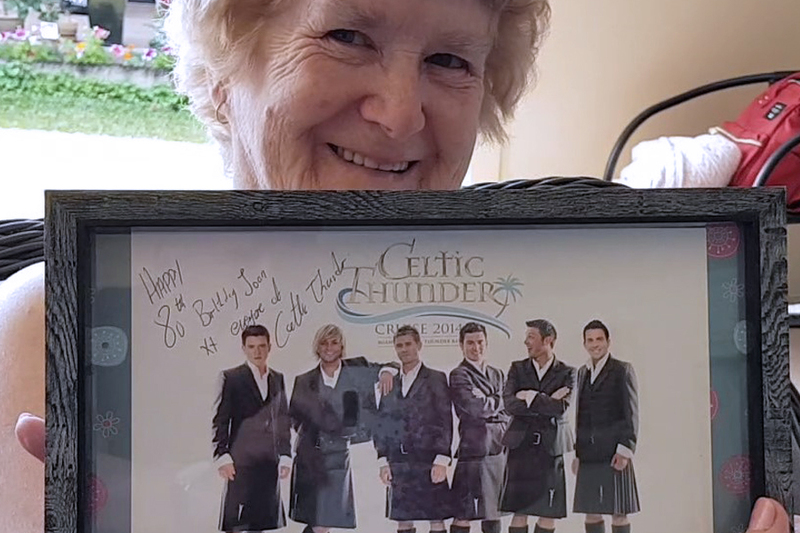 Once Angie had contacted Celtic Thunder to see if they could get a message for her mom, unfortunately they could not but we think from the smile on her face she was equally happy with her signed photo from the guys. Below is the note that Angie sent in …The whole team at Celtic Thunder would like to wish Angie a very happy 80th birthday and thank her for her continued support of Celtic thunder and for sharing her celebrations with us all. 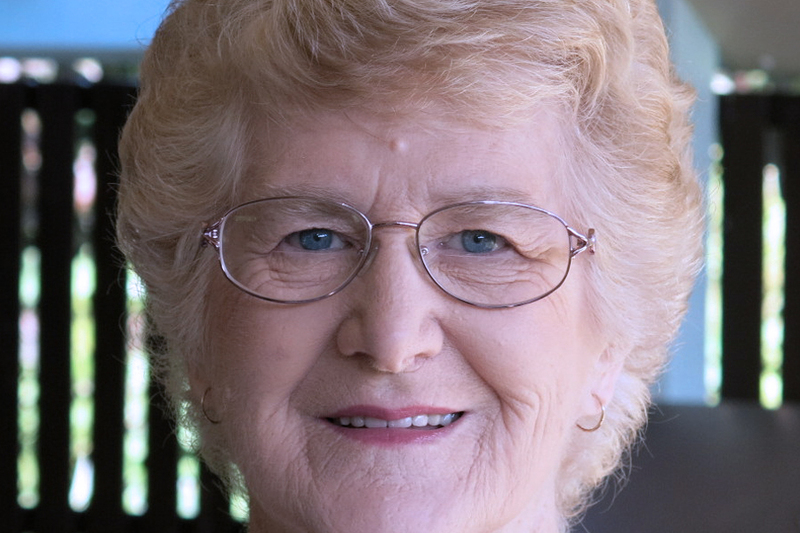 “Joan absolutely ADORES EVERYONE in the Celtic Thunder Band, and has been one of Celtic Thunder’s biggest fans for 10 years since the very beginning – owning every CD and DVD they have made, including a lot of solo ones, too! She is the most special, kind, gentle and caring person I know. Thank you Celtic Thunder, my family and I really appreciate it.